This self guided bike, wine and dine tour allows you to explore the Gibbston region at your own pace. We've got the newest model bikes, a cave tour, wine tastings and lunch included! 11:45 – depart from shop for a 30 minute scenic drive to the Gibbston wine Region. Your driver will give you a briefing in the van about in the cycling safety, import facts to know along the ride, bikers etiquette, and the must see stops along the way! 12:15pm – dropped off at the Kawarau Bungy Bridge to start your biking winery adventure! 2-5pm – Make your way along the trails, stopping at different wineries then stop at the Gibbston Tavern for your Wood Fire Pizza lunch. There is no specific time for arrival, they'll toss it in the oven for you once you get there! 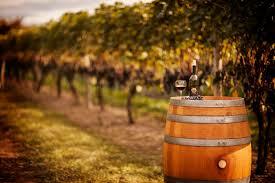 Beside the Tavern you've got 7 wine tasting at the Rockburn cellar door.